I began my career in the field of addictions in 1996 and haven't looked back since, having worked in both inpatient and outpatient settings for both addictions and dual diagnosis in the state of Massachusetts including Methdone and Suboxone clinics. Along the way I realized the need for further education and training in the areas of trauma and abuse, and am a certified member of the International Association of Trauma Professionals. In addition to this, I have gained a vast amount of knowledge in the areas of depression, anxiety, bipolar disorder, parenting issues, relationship issues, LGBT issues, as well as helping people increase their sense of self esteem and confidence. I believe in meeting the client where they are at and never force them to discuss sensitive issues until they are ready to do so on their own. Over the years I have found the most strength is believing in my clients and encouraging them to be the person they always wanted to be. I have various approaches, and the approach I use is client based depending on their needs whether it be CBT,, strengths based, or motivational. I am also DBT trained, and received my certification in 2004 from intense workshops through Marsha Linehan. The objective for me has always been to meet the client where they are at, not where I think they should be. I do not believe in forcing someone to talk about something they are not ready or not comfortable to talk about as I understand the importance of trust in a therapeutic relationship. My mannerism with clients comes from genuine care and compassion and I love to celebrate their successes with them as well as help troubleshoot the stumbling blocks along the way. I would love the opportunity to guide you along your journey as well! Maryann took the time to help me break down my symptoms of depression and anxiety down to the potential causes and provided a variety of solutions. She has a comfort about her that makes her easy to talk to and she communicates in a way that is easy to understand and process which is important for people like myself who need to slow our brains down from time to time. I would highly recommend her! Maryann is great. She has helped me a lot in the last few months with everything from dealing with my husband's deployment and being a new mom. I would recommend her to anyone. Maryann has been a fantastic counselor for me and always seems to ask the questions that make me learn more about myself!!! Maryann Whalen is a lovely counselor who gave very helpful and insightful advice. She took the time to go over every concern I had and addressed each one step by step and made sure that everything was covered. She helped me to think about each problem carefully. Her counseling helped me a lot and although I am still working on improving myself, she helped me where to start. I find Maryann immediately involved and caring without feeling clinical. She asks pointed questions that allows me to self-reflect without feeling like I’m being told what to do. I appreciate her attention to my specific situation and individual feedback on my concerns. Maryann has a special way of connecting with you - and no matter what you are going through she offers an ear to listen if you need it, but also never pushes her ideals or values onto you in the process. She is amazing at the work that she does, even reaches out if she hasn't heard from you because she cares. And when it comes down to the nitty gritty and it's a lot, she's not afraid of taking the time to address EVERYTHING; and if that means it takes a little longer for her to respond, that's completely fine. She doesn't just give you a broad opinion on what your course of action should be, she addresses every single issue, event, anything and not only tries to understand but she makes incredible ideas to come up with a solution. She's great at asking questions and putting you outside of your comfort zone, and even that can open your eyes to solutions you never thought possible. And often times you have all the answers, she just has an incredible way of making you see things form that different perspective, and that can make all the difference in the world! I like the way Maryann frames what I'm thinking into constructive impactful narratives. She sharpens my focus and helps me stay positive in the face of emotionally trying situations. I've found myself being more open and receptive to help (and criticism) from others in my support network as a direct result of my interactions with Maryann. Maryann has been a wonderful therapist. I've seen approximately 6 or so over the last 20 years, and have found Maryanne to be just as, if not more, effective, attentive and helpful as any in-person therapist I've had. Sometimes using written language can lead to misunderstandings, but Maryann is always quick to ask clarifying questions and verifies that she's interpreting my words correctly. When she hasn't, she is gracious and addresses the real concern rather than implying that her initial interpretation is the right interpretation. Maryann is an amazing counselor and woman. She has great instincts and helped me gain clarity in many areas of my life. She is a great listener and is really helpful with coming up with solutions to reach goals. I would recommend Maryann to anyone going through a transition or needs support in changing a behavior or has struggled in any way. We have just started but she has been supportive, helpful, and compassionate. I have been working with Maryann for a while now and I enjoy working with her because she makes me feel at ease. She is very easy to chat with. Maryann Whalen has been a great support for me. I look forward to chatting with her and get excited when I see her message pop up in my email. She is warm and understanding and she is helping through a tough patch in my life. Maryann has been very helpful to me to organize my thoughts and to assist me so I can take better care of myself. Maryann is a wonder. It is comforting to know that there is someone who will listen without judgement and will give me a path to find solution for problems I am experiencing. She is humble and kind always. Maryann and I have been together for 2 years now and she has been a great help! Maryann is so kind and compassionate. I feel she truly understands my issues and cares about helping me figure out how to deal with them. I always look forward to her replies and hearing what she has to say. Her insights are spot on! Maryann was kind and thoughtful and had practical advice. Her responses were prompt and she checked in regularly. Very helpful. Maryann has the ability to hone in on the real issue when things seem choatic or overwhelming. She has a great sense of humor. Most importantly she listens and offers sound advice. Maryann is a great therapist. She always made time to have video/voice calls with me and never made me feel guilty for requesting them. She was supportive but honest with me which I feel is incredibly valuable. I'd definitively recommend her to people. I have been communicating with Maryann for about 2 weeks now and I am very happy with her prompt responses, her understanding of my issues, and her suggestions and feedback. I would recommend Maryann to anyone. Maryann is a kind person who is non-judgmental, and who has a lot of knowledge in her field. Looking forward to continuing to work with her! Maryann is definitely the best therapist I ever had. Relatable, to the point, holds me accountable, and seriously...who does't need that? She has depth, wisdom, and spirituality mixed in with heavy doses of common sense and practicality. Did i mention accountability? I have been seeing her for almost 6 months. I really value my time with her, and at first I wasn't so sure of online therapy, but now I wouldn't even go the traditional office route. Thanks for everything! I love Maryann. She is the best of the best. Without her I don't think I could have made such progress and have grown without her. I found Maryann's advice to be on-point and quite helpful. Maryann is absolutely amazing and I feel fortunate to be working with her! Maryann certainly gets to the point of what you are having trouble with! Extremely helpful. I will certainly recommend her! She is very helpful and a great counselor. Maryann is very professional, thoughtful, and gentle. She has been a great help to me and I am thankful to have been matched with her. I feel comfortable talking with Maryann. I just started with Maryanne and so far she has been very warm and it's so nice having someone I can write to whenever something is heavy on my mind. Having Maryann to talk to and work through issues with has been an amazing experience for me. She always seems to have insight that I never would have thought of on my own. With BetterHelp and Maryann I feel like I've been thrown a life preserver to prevent me from drowning in my own anxiety. I'm so thankful I gave this a try and that I was matched with Maryann! Been with Maryann for a few weeks now, and It's been rather helpful. I would like to say I came to her with the knowledge of what my problem was in the first place, that there was no rooting around for it to begin with, but she has helped combat the problem I knew I had, as well as come up with ways to deal with things I hadn't thought of as an immediate issue in the first place. I plan to stick with her for as long as I can, she's been a huge help in just the few short weeks I have had in contact with her. Mary Ann has been wonderful throughout a year's worth of transitions. I really appreciate her help. I found Maryann to be compassionate and supportive. She was very responsive to my questions. I would have liked to continue working with her, however the cost of membership was a burden for me. Maryann is an outstanding person to work with. She is caring, efficient and reliable and all of this makes me really regret not seeking BetterHelp earlier. Maryann is very nice. When she asked me questions they was right on the money. Maryanne Whalen has been awesome! She is supportive, kind and non-judgemental. I also like her honesty, being a good guide toward healing. I would highly recommend her! Maryann has been helpful in my experience with her. She sends me helpful worksheets and websites to explore different areas that are affecting me. She is always kind and easy to talk to and I have enjoyed my experience with her! Maryann is an excellent counselor. She has helped me faced some tough questions and it's not even been that long that I've been with her. She makes you feel comfortable, and will do her best to work with you around your schedule. I will continue see her as long as she has me! Smart, compassionate, and incredibly kind. I find her responses and questions to be thought-provoking and geared towards greater understanding on my part. Maryann is so great at understanding precisely what I'm trying to convey. I often worry that I'm making no sense but she really gets me! I chuckle sometimes to see her responses, and shout, "Yes! Exactly!" I really look forward to her responses, and feel comfortable telling her anything. She's really amazing. Maryann has been wonderful. It's been a week talking with her and already I have made positive changes in my life and dealing with my anxiety / depression in a healthy way. Maryann is a very caring, loving and a great counselor. She is very respectful, undersatnding and flexible counselor. I dont know where I would be without her. Maryann is a fantastic counselor! She has helped me immensely and I've only been talking to her for a few weeks. The process of BetterHelp online counseling is convenient and effective. I highly recommend it and her! Thanks Maryann! I absolutely love this woman. She is kind, caring, understanding and genuinely tries to help you because she wants to make the world a better place and she's doing a fantastic job. She's funny and brilliant and she is a great woman to talk to if you're going through a hard time. I feel like the world crushed me and she gave me hope and help and a sense of comfort and security knowing that she cares. I feel much better knowing that there is someone there willing to listen and help and genuinely cares. If every doctor was like this woman the world would be drastically changed for the better. Maryann is a great councilor, she cares and really helps you to understand and better yourself. I bounce all over the place when I am talking to this sweet soul. Maryann is right there with me. She has amazing tips and tricks to deal with those bad days. I just feel so much better after reading her responses. You'll always be looking forward to what she has said. Thank you, Maryann. Maryann has been wonderful. She is easy to talk to and is able to help me work through my issues. I have always been a closed person, afraid to trust others enough to talk about my problems, but she put me at ease and made this such a successful experience. I would highly recommend her to anyone who needs a caring support figure. Maryann is a great therapist! Very sweet and genuinely concerned about my welfare. I am happy to have had her support through some very trying times. Maryann is wonderful, very responsive, and goes an extra mile to give me the tools I need to get better!! She even helps me find coupons, activities for my children, and shares tips and tricks!! She is wonderful. Maryann is genuinely good at what she does. I came here with a lot of issues bouncing around in my head and she helped me start sorting through them right away. Her kindness and wisdom have been immeasurably helpful. Thanks to her support, I'm feeling hopeful again. Maryann brings the CALM which has helped me find clarity. Working with her has been a joy! Maryann has been my rock through the break up of my marriage. She is always willing to tell me when I am overthinking and when I am overreacting. I don't know where I'd be without Maryann! BetterHelp has been an incredible resource for me. I live in a rural area where access to mental health services is very limited. Maryann has given me hope that I can get the care I desire and has been very supportive through an impossible situation. I feel like I have gotten more benefit from working with her than through years of ineffective bureaucratic care. She is caring and compassionate, while being forward and real. I need blunt, direct feedback and she is able to provide that with a great balance of sensitively and grace. MaryAnn gets me so quickly and has a lot of knowledge and experience that I'm finding invaluable to my life! Thank you for your continued support! Maryann, I never knew that I could be so happy and trusting and excited for life again!! I hope you know how important you are and how amazing your heart is to help people like me!! You're an angel from heaven and I'll never be able to thank you enough!!! -Cass. She's amazing. Maryann always gives me plenty of advice, but she also has little jokes that keeps the mood light. It's been wonderful having such a great counselor there to help me help myself! I feel completely comfortable talking with her. She is kind and gives wonderful advice. She is very kind and generous. I feel like even though I have just started therapy with her, she has already given me a lot of insight and clarity. Looking forward to many more conversations with her! Maryann is by far the best counselor I've ever had. She's friendly, she's personable, and she digs right to the heart of the matter without being pushy or brutal. I need someone who can ask me tough questions, who can hold me accountable, and she does exactly that. I love her! Maryann was chosen for me from the profile I sent in to BetterHelp. We have connected on a level that usually takes years to make, and she has helped me alot in the short time we've been talking. I never thought I would be able to connect with someone with words only, no face time has been had, it's been an interesting trip with Maryann and I would do it again. She was very attentive! She is also willing to go deeper than the initial issue(s) at hand. Maryann is absolutely wonderful! She is personable, attentive, kind and supportive. She works with you at your own pace, offers great advice and is never pushy or judgmental in anyway. I would definitely recommend her to anyone. I really appreciate Maryann Whalen. Her advice is sound, wise and nonjudgmental. Even though she has never met me, I truly feel like she cares. She always checks up on me if I haven't responded and that speaks volumes. I love this form of counseling. I truly appreciate Maryann, she has done more than you could imagine for me. Thank you! Maryann is wonderful! She has helped me in only a few weeks to come to realizations I never would have arrived at on my own. She is kind and caring, and creates a supportive and safe conversation which really helped me to open up about what I have been experiencing. I would HIGHLY recommend her to anyone looking for an amazing counselor! Maryann is such an amazing counselor! She's so kind and never judgmental. She has an open ear and an open heart to help with any issues you may be having. She's just awesome and I wouldn't trade her for the world! :) Thanks so much for your help, Maryann! Maryann is awesome, gives great advise and has helped me work through some issues. Maryann is a wonderful therapist. She has helped me a great bit to stop enabling my son's actions and to encourage us. She gave us many great suggestions. She was prompt in her responses and kind. She seemed interested and supportive of our problems. love her!!! It is great working with Maryann. She responds promptly and to the point. Her responses are also sincere and you can tell she cares. She is also flexible to working with you in how you would like to be helped. Maryann is a wonderful counseling, exactly what you want in a counselor: kind, considerate, open-minded and incredibly passionate about her work. I've only been speaking with her for a few weeks, but am already feeling better and making small improvements and changes to my mental health. I am incredibly grateful for her help. Thanks for making therapy so accessible and helpful! I value my time with Maryann. She is wonderful at helping me to see things clearly. I value her input. Her insight is most helpful. I couldn't imagine how my life would be if I wasn't able to chat with Maryann. 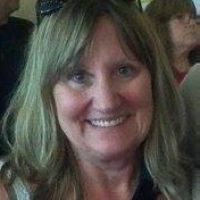 Would you like to write a review for Maryann Whalen? We'd appreciate if you can spend a couple of minutes to write a short review for Maryann Whalen (LICSW, CADC). This review would be shared with Maryann Whalen. It may also be posted in our website or in Maryann Whalen's profile but it would be anonymous and your identity would be kept completely confidential.